Put your software on autopilot. modern software designed to reduce busy work for foster based rescues. free yourself to get back to the basics: saving animals. WITH TECHNOLOGY, NO PET IS BEYOND OUR REACH. We empower animal welfare organizations to maximize their life saving potential with powerful technology that will boost your ability to save more by doing less. Centralize your organization’s pet and people records. Get organized in a snap with our ability to tag people to pets, keeping your information accurate and up to date. Create custom forms and applications that can be embedded into your website. Completed applications will appear in your database for easy access and management. Our friendly team is always learning and wants you and your animal welfare organization to succeed! We guarantee ticket issue response in 24 hours or less. Let your database do the heavy lifting and free yourself from time consuming tasks that take your attention off the pets. 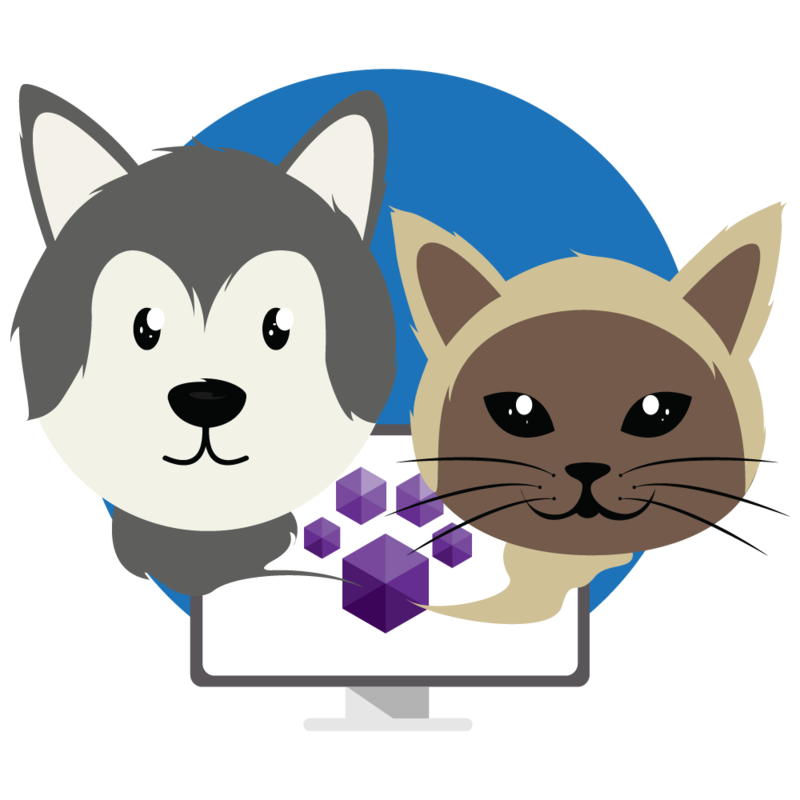 Pawlytics has a number of core features that accomplish your most common and necessary tasks at the click of a button. Not a spreadsheet wizard? We have you covered! 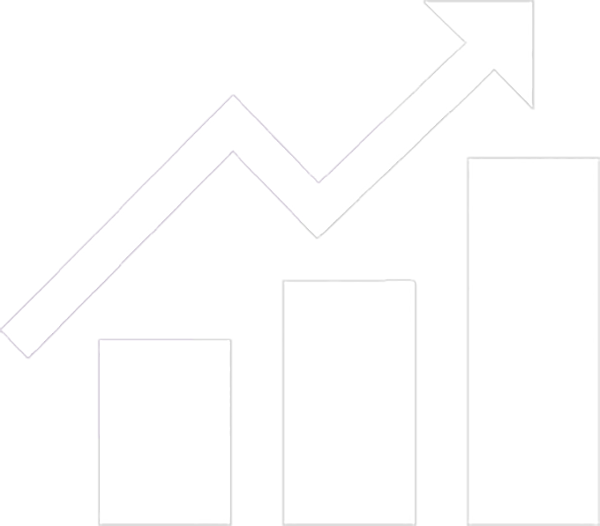 With a few clicks of your mouse, generate beautiful and easy to read graphs that help you better understand your life saving efforts. 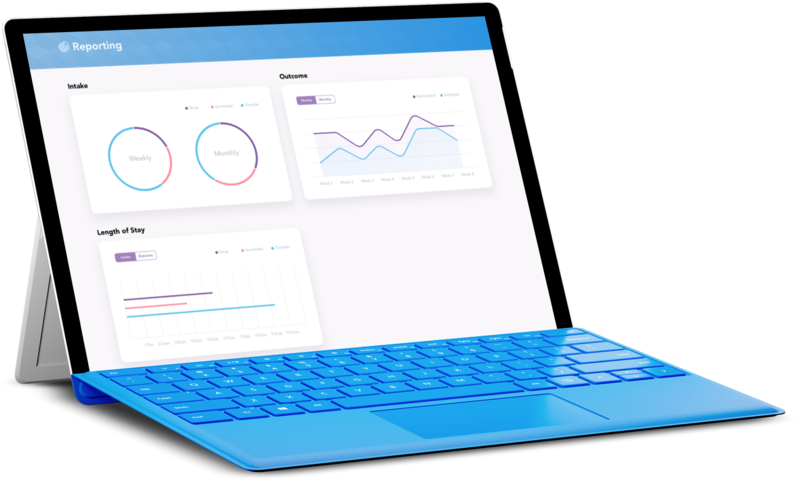 Effortlessly keep your Team, Board, and Community in the loop. Visibility is the key to doing more adoptions. 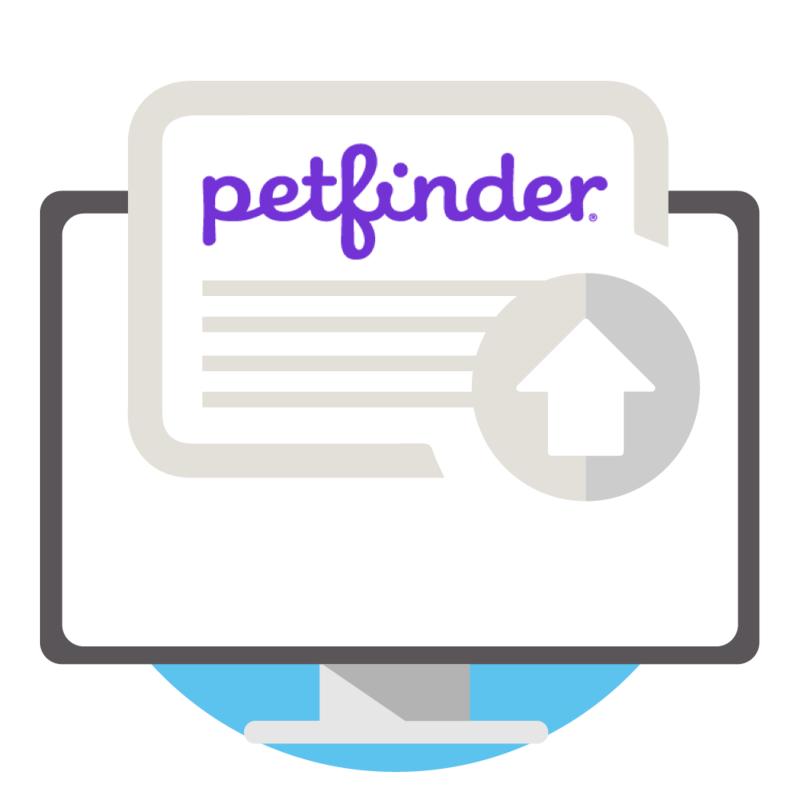 We make it easy to maintain your adoptable pets’ digital presence through automatic exports to third party websites such as Petfinder, Adopt-A-Pet, Shelter Animals Count, and more! Never worry about finding time to enter data on your fosters or adopters again. Our smart applications autogenerate profiles for people and keep their information up to date without you even having to think about it. You spoke, we listened. Finding foster homes is the #1 challenge rescues face. Never stress about finding foster homes again. Our FosterFix algorithm can identify available foster homes in your rescue or region and match them with the appropriate pets. No more going back and forth with adopters to find a time to sign paperwork. 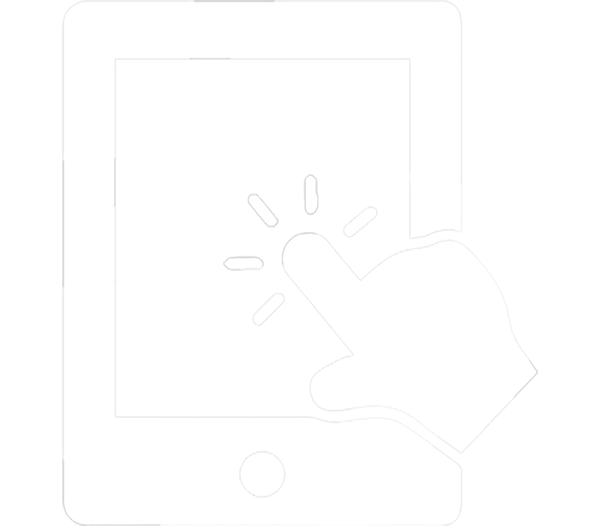 Simply process the adoption electronically with our E-Contracts. Completed contacts are stored directly with the pet so you won’t ever be digging to find paperwork again. 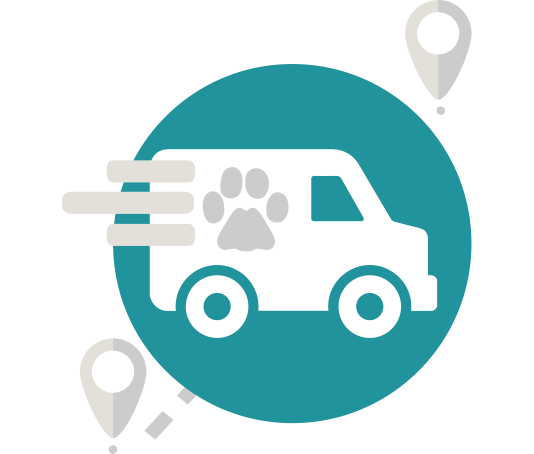 Automate your transport planning with our tool that connects volunteers to rescues that need pets transported. Free yourself from pleas on social media and email spamming, and cut down on the logistics of getting an animal its ride to freedom. "It is with much enthusiasm that I am writing to express our full support for Pawlytics. Animals Fiji is beta testing Pawlytics, an analytical data management system for just a few weeks and we have found the existing functions extremely beneficial to our shelter organization and management. As well the flow and usability of the system to be easy to navigate. Their future plans for their analytical data management cloud based system is unprecedented and set-up to be affordable." "As president & founder of a small NPO, obtaining then maintaining necessary, vital data to best serve our cause is an absolute necessity yet ofttimes more of a luxury that is just out of reach. I believe Pawlytics is the answer for my group. As we grow, they grow. Already, we are beginning to see our data organizing on a structured platform that is geared towards our industry, pet rescue nonprofit. I am impressed by Pawlytics leadership & freely offer this advice... Get on board & be a part of this new venture." "We are all volunteers with other jobs and obligations, but we choose to help dogs find safe, loving homes because the cause is important to us. Every day we receive pleas from people who are looking to rehome dogs. Managing requests, dogs, vet records, fosters, volunteers, social media, and fundraising is a huge, time-consuming task. It’s tough to take the time to organize all of the information we need to use on a daily basis. That’s where Pawlytics comes in. When I first heard about this software, how it was being designed to help rescues like ours manage this overwhelming task, at the same time being very affordable, I was thrilled! This software will help us be more efficient and organized, freeing up valuable time and energy for other important jobs. It truly helps us help more dogs." 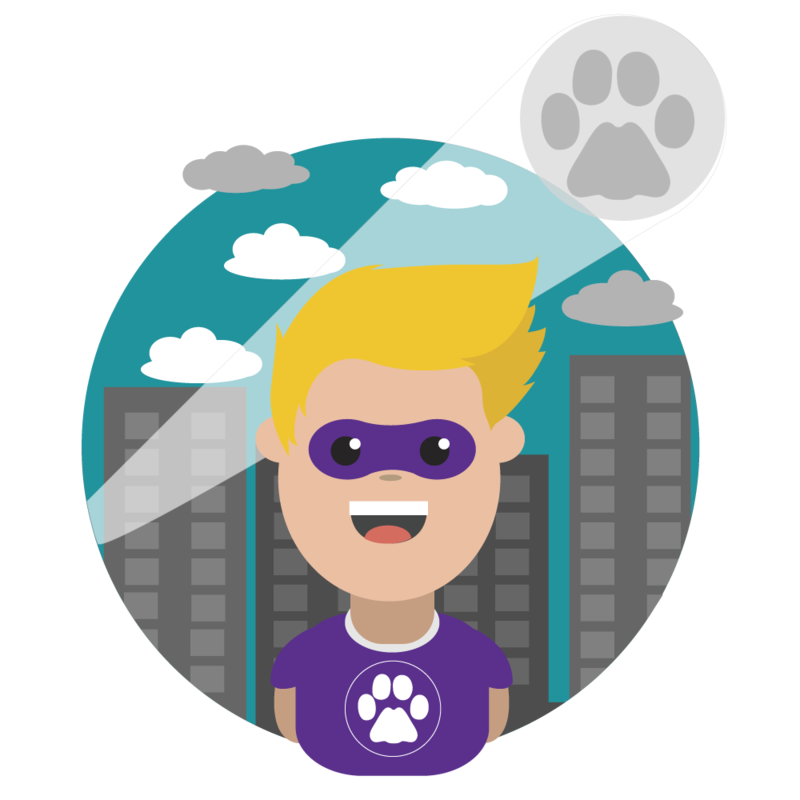 Why choose Pawlytics to power your rescue? Who has the time to learn a brand new technology when you are busy saving lives? Pawlytics is designed with our users in mind! Large buttons and a highly intuitive user interface making set up and training time a breeze. Rescue is hard, you deserve to look at something beautiful while you do it. We take pride in brining some of the the latest and greatest technology to the animal rescue community. As you grow, our features grow! Our team of data scientists researches best rescue practices. We then use these studies and data to bring you smart features that allow you to do more adoptions. 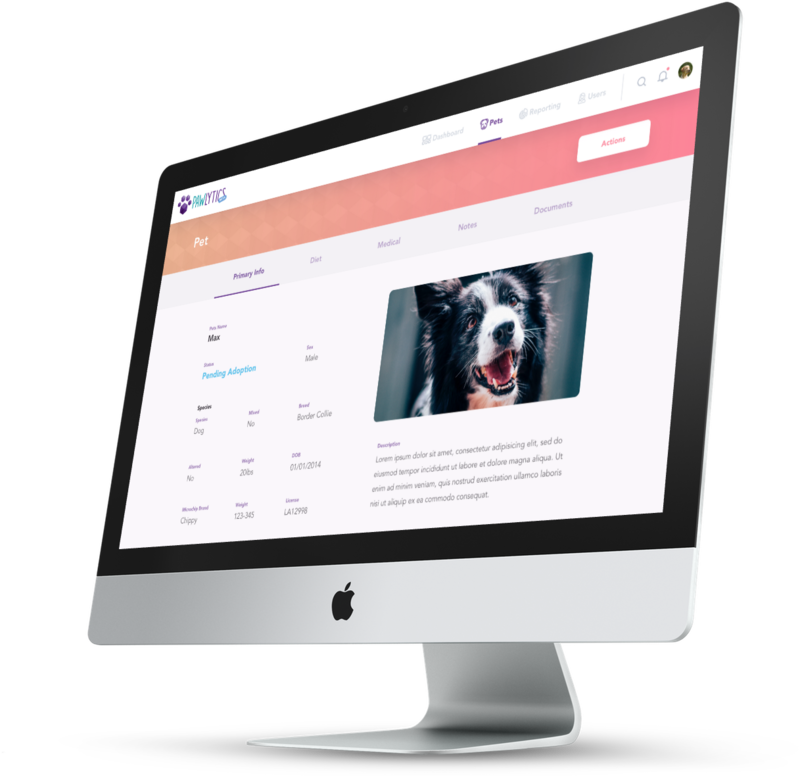 Designed to suit the needs of animal rescue organizations of all sizes and forms through affordable pricing and features built to grow with your needs. You’ll only ever pay for what you need, and your database will maintain its easy to navigate design. Welcome to you rescue’s base camp and personal assistant. 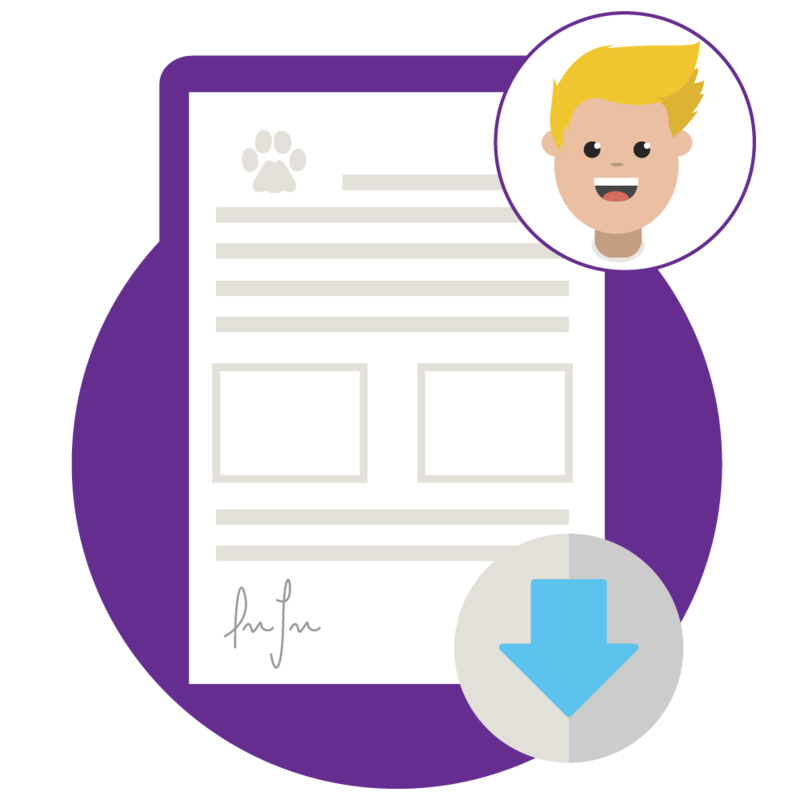 As you continue to enter information on pets and people, our smart features can better assist you in time consuming tasks such as sourcing and matching foster homes, storing adoption contracts, generating reports, and more. 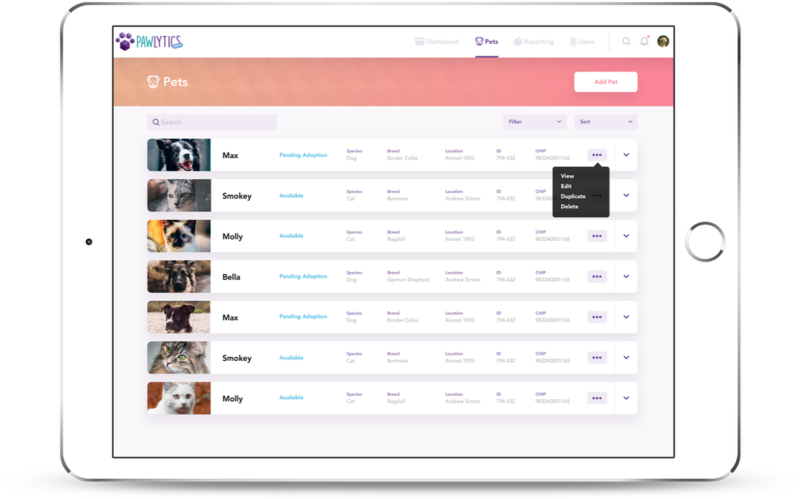 Pawlytics was designed to be accessible by every size organization. It costs just $1 an adoption to maximize your animal welfare organization’s life save potential. 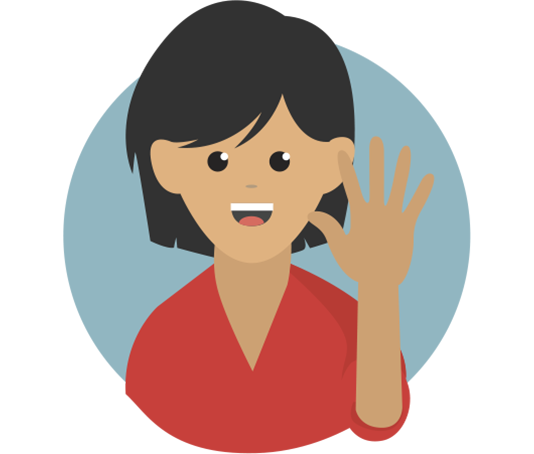 If you are a volunteer, using Pawlytics is completely free! 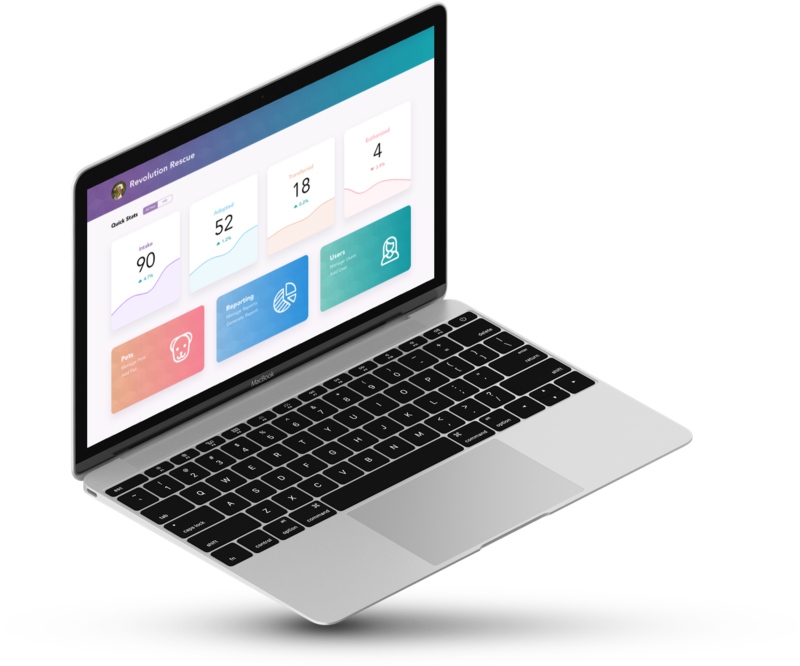 Pawlytics strives to make the best technology accessible to any size organization.This means building our software in modules to ensure your non-profit only pays for what you need, and not for what you don’t. Our goal is to create insanely innovative animal rescue software that contributes to no-kill. To accomplish this, we study our aggregated rescue data and create smart features using machine learning models. Delivering features that can make a difference in saving more animals are at the forefront of our company. At the heart of Pawlytics, is our love of data and learning about how to save more animals efficiently. We promise to always provide free data analysis of our findings back to the community. We would love you to join us in the learning! Get in touch to learn more about how we can help your organization use data to start saving more lives today.